Can I donate anonymously? How does it work? Yes! Check the box that says "Hide my donation from public view" to hide your name and/or amount. Info is always shared with the organizer. You can choose to remain anonymous by checking the box that says "Hide my donation from public view" before completing your donation. You will still receive an automatically-generated receipt after donating. 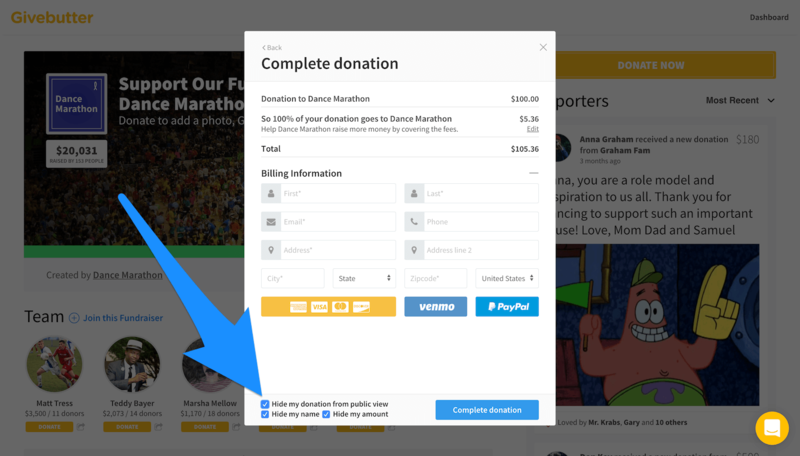 Please note: Your information will always be shared with the organizer and any messages or images you add to your donation will always be displayed publicly. You can only hide your name and amount from public view. 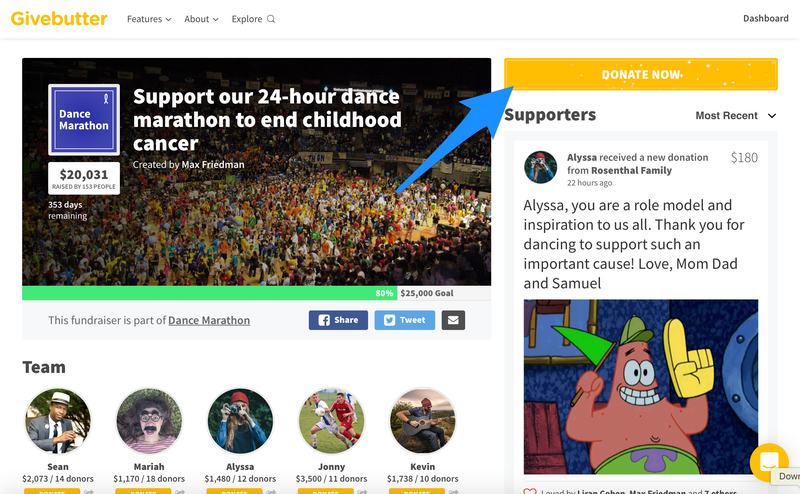 If you are on the campaign page of the fundraiser to which you want to donate, select the yellow Donate Now button on the upper right. You will be asked the amount you'd like to donate and the team member to whom to credit your donation (optional). Then you'll be taken to a page that asks for a name for the donation and a message. Click "I'm done" when done. On the next window, after putting in your payment information, select "Hide my donation from public view" at the bottom of the screen. From there, you can choose to hide your name, amount, or both. Complete your donation, and you are all set!